Square Meal BiscuitsTM is a grain-free, complete diet hay biscuit, high in fiber and protein, and low sugar and starch. 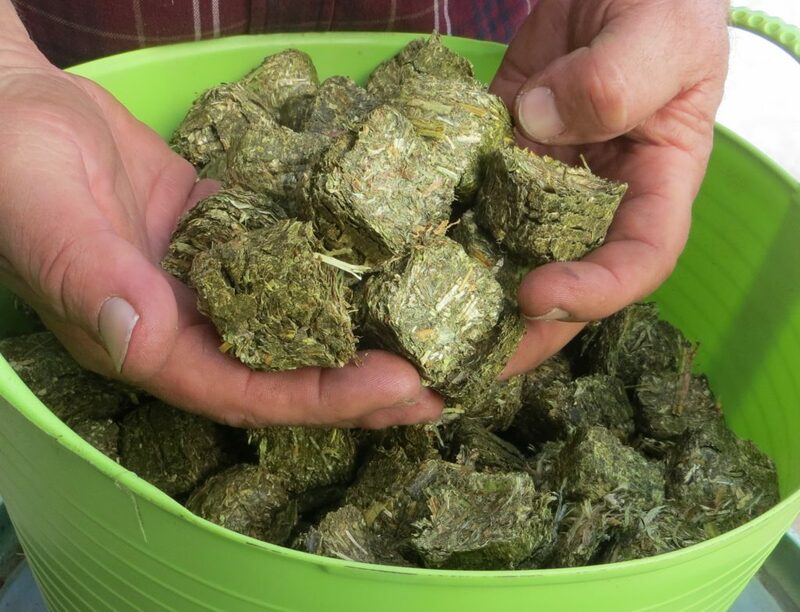 We blend quality alfalfa and grass, balance it with a non-GMO vitamin and mineral supplement, and then form it into a soft biscuit so none of the nutrition is lost. Our biscuits are scientifically designed and nutritionally balanced to be fed free choice, which is healthy and natural for the horse and more convenient for the horse owner. Just make Square Meal BiscuitsTM available free-choice, along with loose iodized salt, and plenty of fresh water. That’s it!